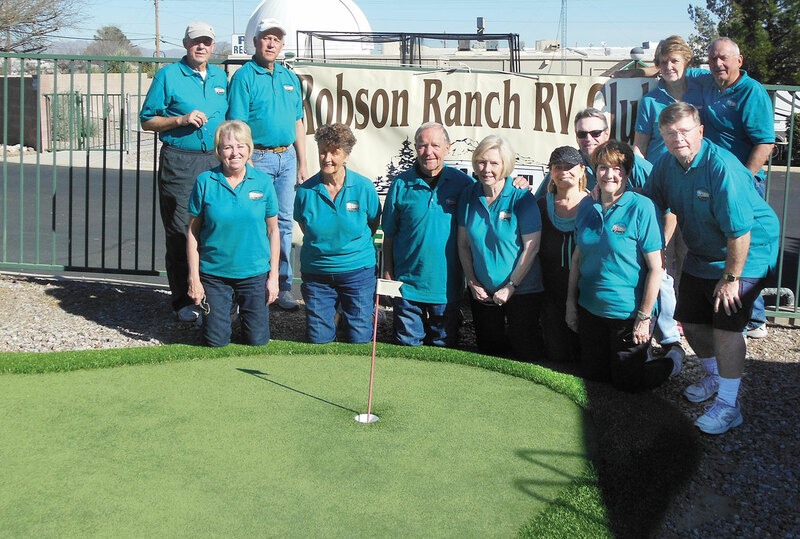 On a cold and wet stormy day in late February, 12 hearty souls in six RVs braved the elements and ventured south to Benson, Arizona, in search of fun and entertainment. Why Benson? 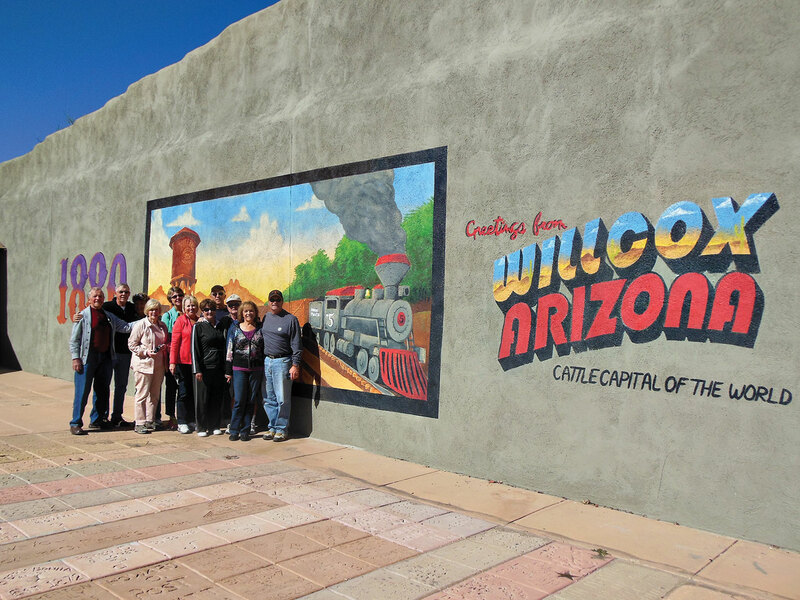 Surprisingly, thanks to our wagon masters Ken and Joan Sidles, we discovered that Benson has a lot more to offer than expected. All arrived safely at the Butterfield RV Park and Observatory. Yes, I said observatory. The RV Park has an observatory/telescope that rivals any that might be found in a university, and we spent almost two hours one evening viewing planets, stars and the moon. Other activities included a trip to Kartchner Caverns, the Amerind Museum, which is an anthropological and archaeological museum dedicated to the preservation and interpretation of Native American cultures and their histories, lunch and wine tasting at the Coronado Vineyards, a visit to the Rex Allen Museum in Willcox and a visit to the Gammon Gulch Movie Set where they still film movies and where we were entertained by the owner whose father was a bodyguard for John Wayne. As is our tradition, breakfast was prepared by the men on our last day, and that evening we were entertained by John Sutton, Jeff Jones and Richard Harris playing their guitars. A great time was had by all. If you’re interested in checking us out and maybe becoming a member, please contact either our club president, Diana Morse, at dibfrm@gmail.com or secretary Bob Burtch at bocato2@yahoo.com or just show up at our monthly meeting the first Friday of each month at 4:00 p.m. in the Sports Club. New members pay no dues the first year. ← Congrats to the Robson Ranch Softball players!